Traffic from Email, Display, Social, PPC, Mobile and more. CPL, CPA and CPC Offers to promote on your website or traffic source. Offering a reliable and quality service to affiliates and advertisers for over 10 years. Join the 12,000+ Affiliates earning more from their traffic. 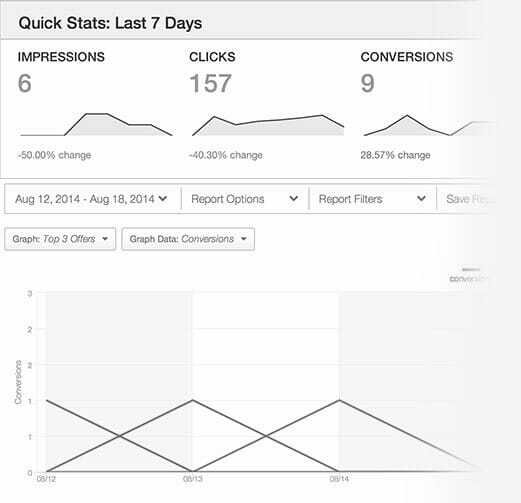 Advertisers pay when you get real results. Our tracking platform, HasOffers is one of the most reliable tracking platforms in the industry. With millions invested in reliability, we provide real time reporting and analytics with extremely flexible reports to help you see the specific information you need to optimise and grow your campaigns. After you customise one of our predefined reports, you can easily save the report to quickly access the information at a later date. If you regularly need to see specific information about a certain Sub ID or a breakdown of a specific offer, you can load the report up in seconds without having to create a custom report each time. All reports can be exported from your WOW TRK network account so that you can analyse and use the conversion report information within your own system or database. We also have a powerful API which enables you to feed in conversion data to your own platform live. Not only do our account managers work closely with you to find the right offers. 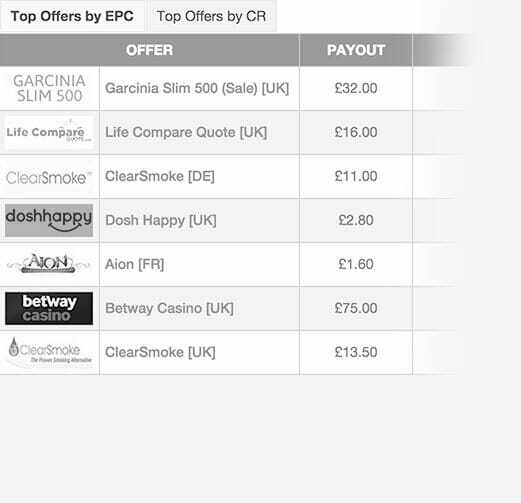 We also have reports available to help, such as our Top Offers page within the affiliate interface. You can easily find out which offers are the top performing in terms of EPC (Avg. Earnings Per Click) and CR (Conversion Rate). On your account dashboard you also can see offers recommended by our account manager team. At WOW TRK we understand its important to be able to find the right offers for your website or traffic. We try to make it as easy as possible to find relevant offers organising all offers by category, payout and countries. You can quickly filter down by Top, New, Expiring, Recommended - with more options and filters planned over the next 12 months. At WOW TRK we are all about making tasks as quick and easy as possible for you! Our developers are constantly working on improvements to make your job easier. 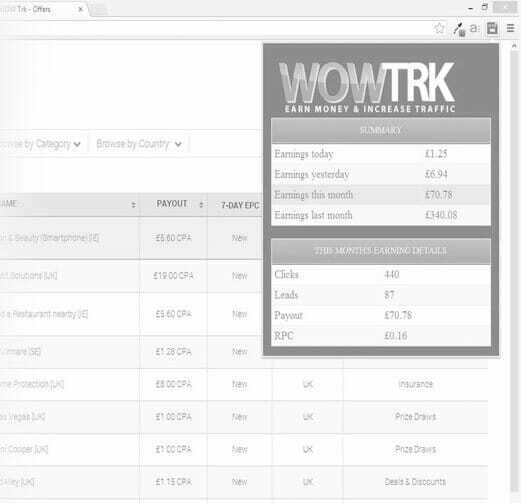 We offer a range of free browser extensions to enable you to quickly keep up to date with your earnings and stats on WOW TRK. No more having to login to your account to simply check how much you have earned. Our browser extensions also let you setup notifications to be alerted when your earnings increase. In the future we plan to extend our browser extensions to let you quickly make account changes and grab offer information without having to load WOW TRK and find the information. WOW TRK has a team of dedicated account managers available to assist your every need. 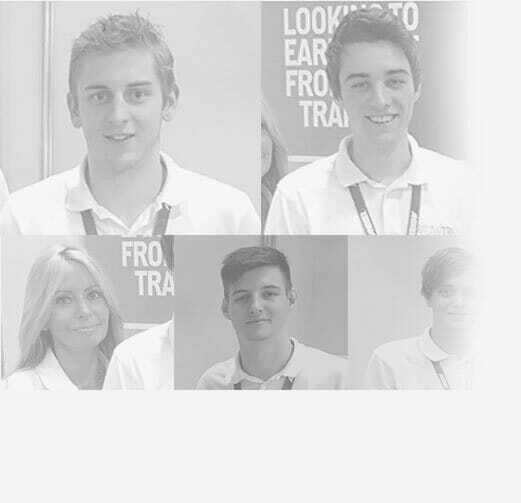 Once signed up you will be assigned one of our account managers, you will be able to view the ways you can get in touch with them, and there's also a nice little picture of them so you can feel more at home and see exactly who you're talking to. We don't just offer you simple answers, we provide A* customer service and will dive right into any queries, explaining everything you will need to know along with tips for the future. Our account mangers also get involved with setting up campaigns, we don't just leave this over to you! Even if your account manager is unavailable you have our general support team to fall back on. WOW TRK has been rated 5 out of 5 stars based on 6 reviews from its clients.